I have had the AMSOIL Miracle Wash now for a few weeks. I used it and took the pictures the same day I made the AMSOIL Heavy-Duty Degreaser video which you can check out here Here. I waited to write this to see what the results would be after a few weeks. I’m going to begin this with a little bit about my background. Back a few years now I owned a small detailing shop. 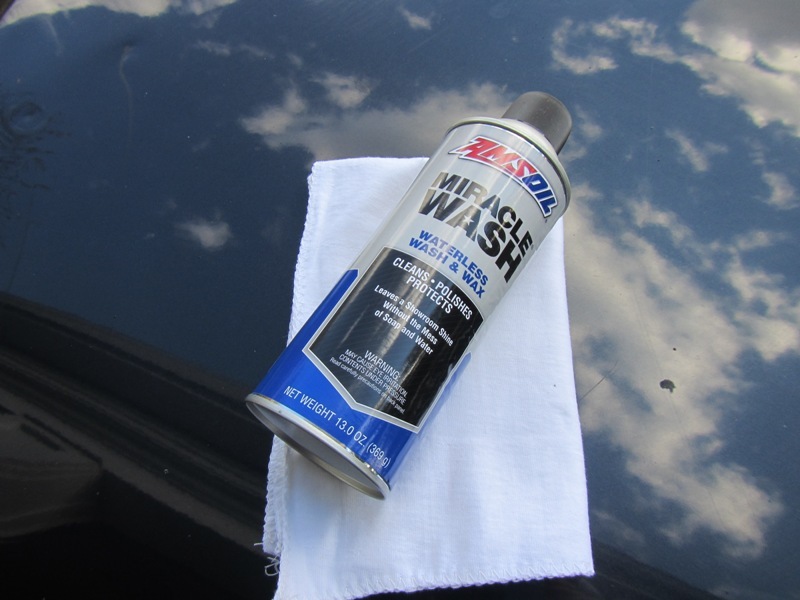 We did things right or not at all, full hand washing, claying, wet sanding, compounding, polishing, waxing, headlight restoration you name it, so to test a product that claims to be a Miracle Wash seemed a bit far fetched, but lets get into it. So the vehicle I am using here is my 2000 Ford F250. 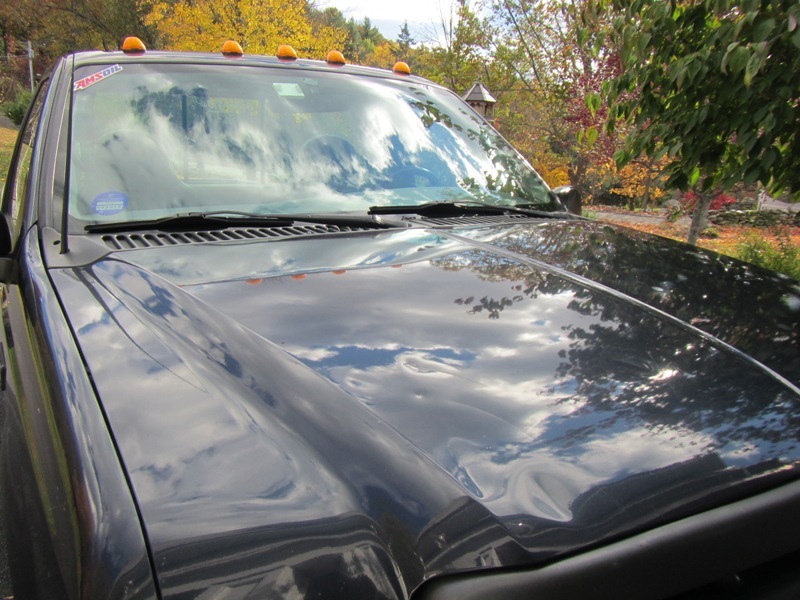 This truck has 169,000 miles on it and has lived in New England its entire life, so sufficely to say the paint is iffy at best. I did only about 1/4 of the hood, this way I would be able to clearly see the difference. A quick review of the can itself. The can is 13oz, just about the size of your normal spray paint can. It also has a nice wide spray tip for your finger to sit on, again much like newer paint cans. It gives you the basic information on it like, applications it can be used on (paint, metal, chrome, plastic and aluminum on cars, motorcycles etc…). Directions are simple, four easy steps; 1. 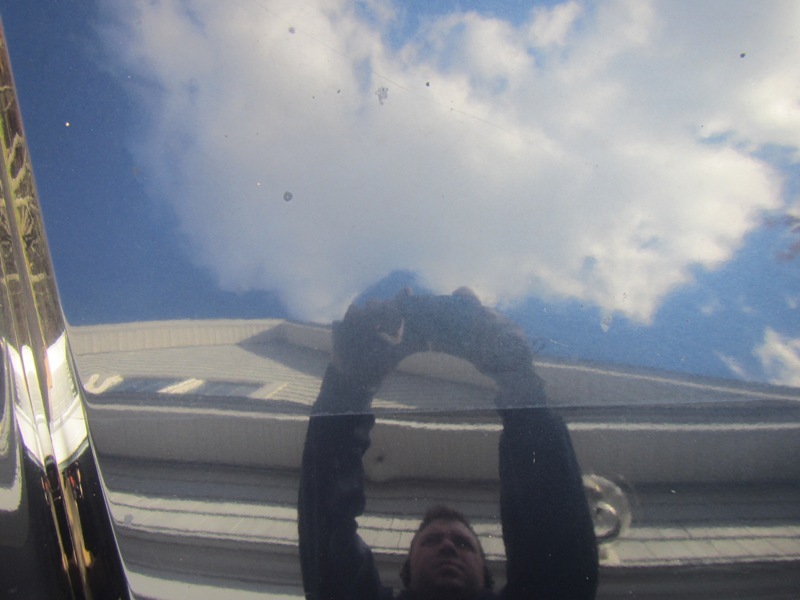 Remove any thick, coated dirt on surface. 2. Shake well. 3. Apply in dry, shaded location onto a 3sq. ft. area. 4. Wipe immediately with a clean, lint-free cloth. Seems easy enough, lets get into it. Here is a before picture of the corner I worked on. To make sure I only did a very specific area and had a clear line of where I cleaned and did not clean, I used masking tape to tape off a box on the hood. Here is a before picture a little more close up. So I broke out the AMSOIL Miracle Wash and got to it. I made sure I followed the direction as funny as that might sound because they are so simple, but really I wanted to see what this stuff was made of. I wiped off the surface very quickly, shook things up a bit and got a clean lint free towel. I sprayed the area I had taped off and got to wiping. It wasn’t very long before cloth was wiping a little smoother and easier. I gave the cloth a few turns through out the wiping process and finished up as everything was dry. Honestly, at first glance, my 13 year old paint didn’t look all that different. It felt smoother, which was a step in the right direction. 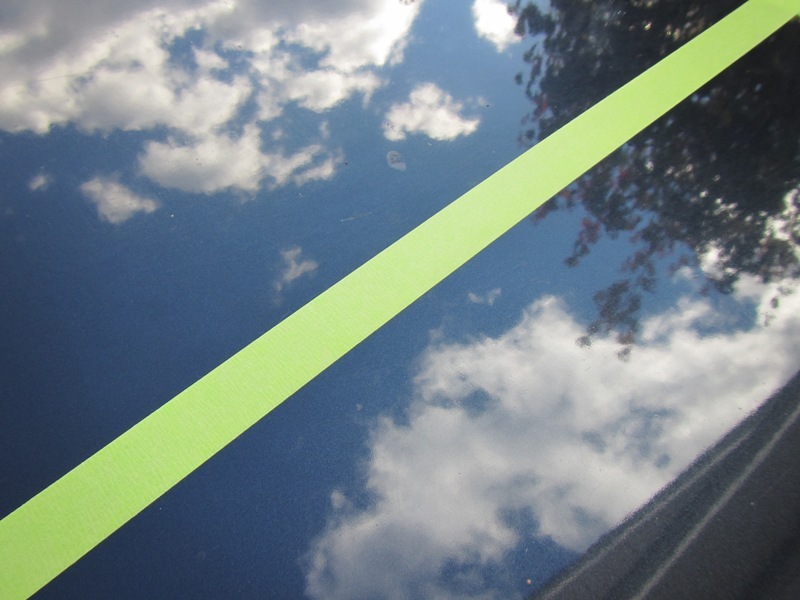 Here is a close up shot of the paint before I pulled the tape. 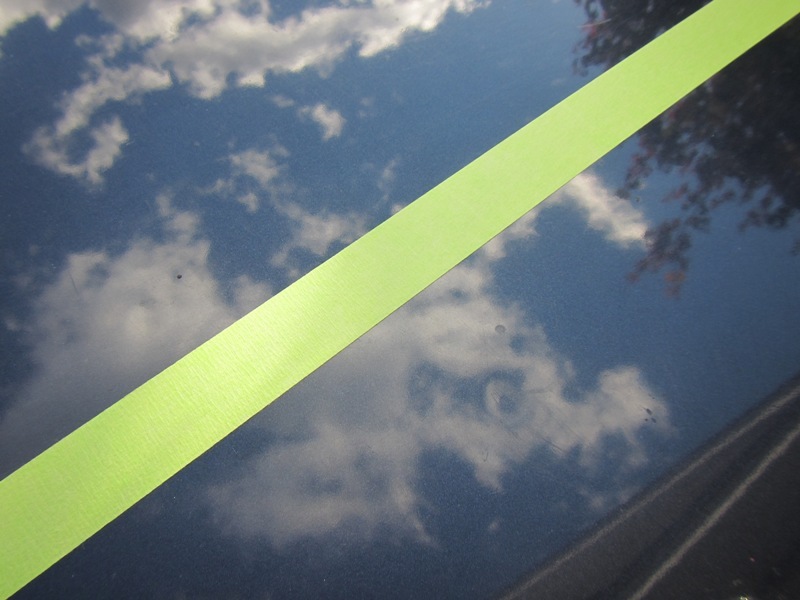 Then I pulled the tape and took a better look. As you can clearly see the awful haze I apparently have on my truck was definitely reduced. It is hard for my to completely agree with the statement on the front of the can that says leaves a show room shine. I just don’t think anything is a solution in a can for amazing clean paint with out some real effort simply because of the abuse are autos see day in and day out. But again to be clear, this was performed on a 13 year old truck that has been “taken care of” ;o) most of its life. But I must say now that it has been a few weeks and we have had some rain and snow the water most definitely beads up quite a bit nicer on that 1/4 of the hood. I would like to do the rest tomorrow of the truck weather permitting. So, AMSOIL Miracle Wash, seems like a solid product for what it is. It’s going to be hard to get out of a can what takes most professionals a few hours to complete, but that being said if a person was to keep up with it using the AMSOIL Miracle Wash you might have something there. My next test I would like to try is a head to head, tape down the middle of a car and use the AMSOIL Miracle Wash on one side and some good ole fashion elbow (Porter Cable) grease and see what happens. Thanks for tuning in and taking a look around.